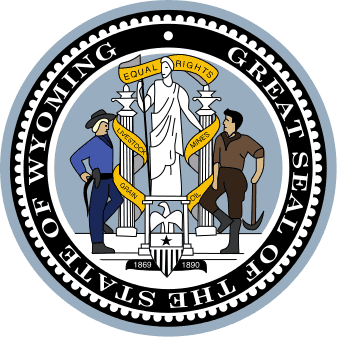 The following concerns Wyoming Landlord Tenant Laws and includes their official state statutes. This is not an exhaustive list of all relevant laws and regulations, and it is not intended to be legal advice. Laws are subject to change, and will often vary from within the state from municipality to municipality. We recommend that you perform your own independent research to ensure that you are in compliance with any and all Wyoming landlord tenant laws and regulations applicable to your current situation. Stay up to date on Wyoming Landlord Tenant Laws + Save money on tenant screening and other property management needs. Join AAOA today, it’s FREE! Basic Rights: All tenants in Wyoming are legally entitled to a unit that meets basic health, structural, and safety standards, and that is in good repair. Landlord’s Responsibilities: A landlord must keep the rental unit in reasonable repair and fit for human habitation, including the maintenance of all electrical, plumbing and heating systems. A warranty of habitability cannot be waived or modified by the parties to the lease agreement. Wyo. Stat. §§ 1-21-1202. Withholding of Rent: Under Wyoming law, a tenant is not permitted to withhold rent from their landlord in order to compel the landlord to make repairs to the rental unit. Wyoming law requires that all tenants be current on their rent in order to require the landlord to make necessary repairs. If a tenant does withhold rent, there is a possibility that the landlord will evict the tenant, which is well within in the landlord’s legal rights. Wyo. Stat. §§ 1-21-1203. Tenant’s Remedies: In the event that the tenant requires the landlord to make a necessary repair to the rental unit, the tenant must give the landlord written notice of the problem and allow the landlord reasonable time to remedy the problem. Wyo. Stat. § 1-21-1203. Additional Remedies: If the landlord fails to make the necessary repairs, the tenant should send a second written notice to the landlord stating that if the landlord fails once again to fix the problem, the tenant will file a lawsuit in court and/or terminate the lease. Wyo. Stat. § 1-21-1203. Landlord’s Obligations: In response, the landlord must repair the problem in a reasonable period of time or send a certified letter to the tenant stating that they are disputing the claim. Wyo. Stat. § 1-21-1203. Victims of Domestic Violence: In Wyoming, the following rules apply to issues of domestic violence: (1) a landlord is entitled to proof of a tenant’s domestic violence status (2) a landlord cannot early terminate the lease of a victim of domestic violence(3) domestic violence victims have a right of early termination (4) a lease agreement is not permitted to include a waiver of some or all domestic violence victim’s rights and (5) domestic violence is an affirmative defense to an eviction lawsuit. All states require a variety of forms to rent an apartment to a tenant and Wyoming is no exception. Check out American Apartment Owners Association’s Wyoming Landlord Forms now. Looking for landlord tenant laws outside of Wyoming? The American Apartment Owners Association offers helpful landlord tenant laws for all 50 states. Click on any of the states listed below and go directly to its landlord tenant law page. To visit the homepage of landlord tenant laws, click here.